Johanna, originally from Sweden, leaves her home country in 1987 to travel the world and lives for a short period in Australia, the UK and Mexico. She decides to study South and Central American archaeology at the university of London, UCL. During her studies of the Maya culture her passion for ancient jewelry and precious stones develops and she specializes with The Gemmological Association of Great Britain obtaining her Gemmology and Diamond Diploma (FGA,DGA). 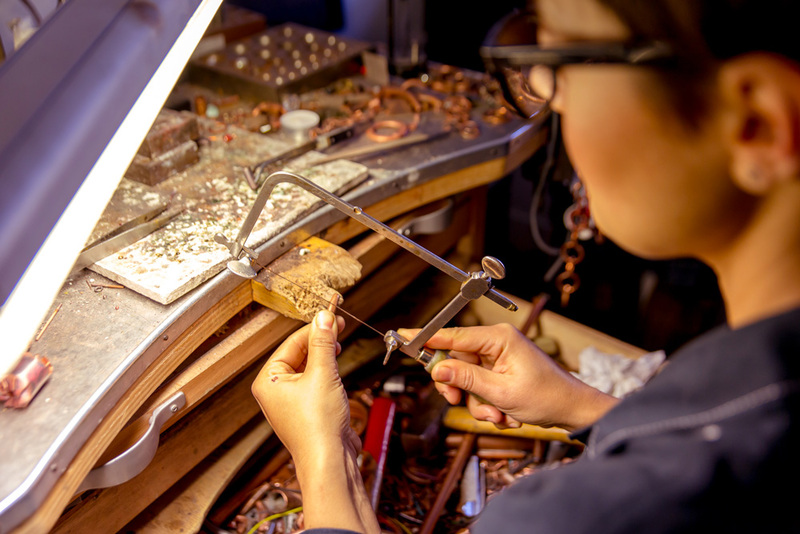 She starts her career as a gemologist with some of the best known antique jewelers in London. In 2003 she leaves the UK to live in Matera, Southern Italy. 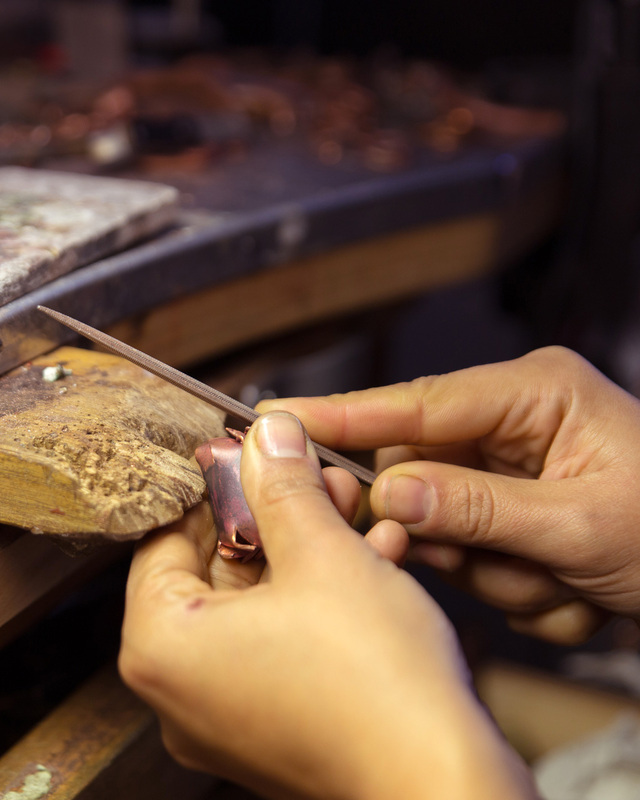 After her Fine Arts degree in Bari, in south of Italy, italian Elisa decides to specialize in goldsmithery in Florence. Here she tries to follow her passion for art and sculpture, translating it into jewellery. She opens her own studio in Matera in 2006 where she was creating pieces mainly in silver. Matera, the city of the “Sassi”, situated in the beautiful region of Basilicata in southern Italy , becomes Johanna’s and Elisa’s meeting point, the north meets the south. They get to know eachother, they like eachother, they choose eachother, and finding in eachother a new vision of the art of jewellery making. Here the artisan skills and the magic hands of Elisa intertwine with Johanna’s feel for design and passion for stones. Everything starts one day when, whilst they are discussing new ideas, lying on the floor in the workshop are some old copper pipes from a broken air-conditioner: Elisa picks up a pipe and puts it on her workbench and starts transforming it into a piece of jewellery. From this moment they envisage new shapes and new ideas of how to reuse this discarded metal. Recycled copper combined with semi precious stones and silk generates a new idea of beauty which is born from reusing the past. It is just like the “Sassi”, the name of the old historical centre of Matera , which has aslo come back to life after years of abandonment, and where both Elisa and Johanna have chosen to live. This is the beginning of their real adventure where they are not only specializing in the recycling of copper but also exploring new dimensions such as the idea of the “Sassi”. The actual word sassi in italian means pebbles or stones, and they create “pebbles” in various metals, with the idea that each person visiting Matera can bring a “piece” of Matera with them home, as a gift or as a momento of their stay. The Sassi dei Sassi Collection. Their collaboration project with Paola Ferrari from the Accademia di Nanogagliato, develops and here nanoparticles become jewellery and also a way for Elisa and Johanna to support science education. The Nano Collection. For a craftsmanship that generate creations in the name of memory, beauty and care. 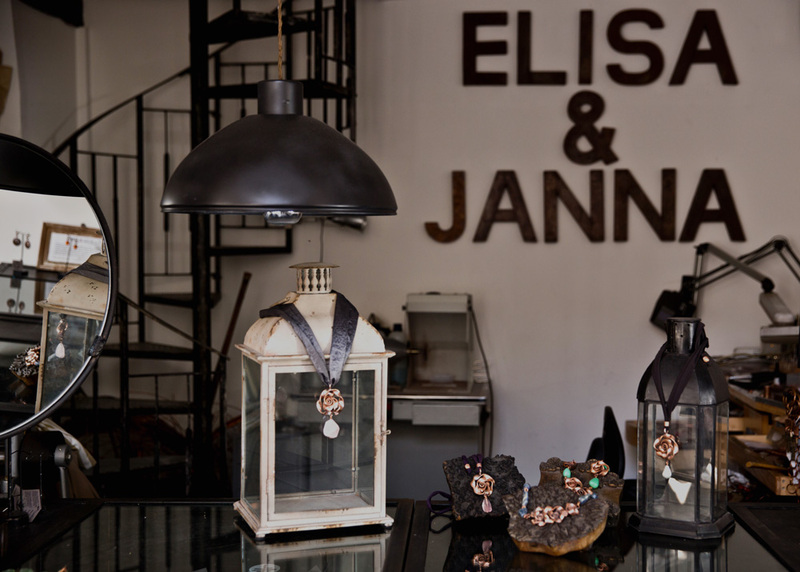 In their tiny industrial-chic atelier, ELISA&JANNA design and produce all their recycled copper jewellery. Elisa hand makes each piece at the workbench using discarded pipes and wires. Sculpture Jewellery Collection. When producing Sassi dei Sassi Collection and the Nanos Collection they cast the pieces in silver, bronze, copper and aluminium. In these collections they do not use recycled material and the copper and bronze pieces are treated with a coating to reduce oxidation. 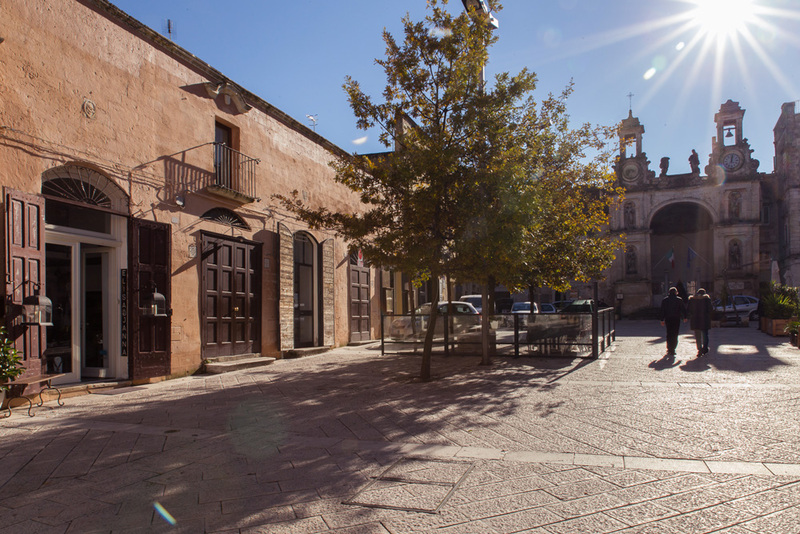 Our shop is located in Piazza del Sedile, a beautiful square in the historic center of Matera near the Sassi and a stone’s throw from the Cathedral.